Journalist close to Turkish state claims UAE spent $3bn on plot, as Turkish president calls Saudi-UAE-Bahrain blockade on Qatar 'inhumane'. A Turkish journalist close to his government has accused the United Arab Emirates of financing last July’s failed coup attempt, as the Turkish president today (Tuesday) called on the Saudi king to resolve the "inhumane" Qatar crisis, reports the Arab Middle East Eye website. The UAE channelled around $3bn to coup plotters hoping to see Recep Tayyip Erdogan toppled, according to Mehmet Acet, the Ankara bureau chief of pro-government broadcaster Kanal 7, who also has a column in the pro-government Yeni Safak newspaper. Based on Acet’s account, Cauvusoglu at that panel discussion said "we know that a country gave $3bn in support of the attempted coup in Turkey to topple the government illegally. And it was a Muslim country that did this". "Questions I asked later all said the country in question was the UAE," Acet wrote. The UAE and Turkey fell out after adopting opposing positions during the Arab Spring, specifically over Egypt. Ankara gave full backing to the democratically elected Mohammed Morsi of the Muslim Brotherhood, while Abu Dhabi did all it could to topple him and backed Abdel Fattah al-Sisi, who assumed power after carrying out a coup. For a few years, Turkish bureaucrats have been alleging in off-the-record comments of UAE interference in Turkish domestic affairs - either directly or through certain Palestinian proxies based in the UAE. The UAE is also accused by Turkish officials of trying to undermine Turkey on the international stage wherever possible. Ankara restored its frayed relations with Saudi Arabia after the incumbent King Salman came to power, but ties with the UAE and Egypt remain cold. 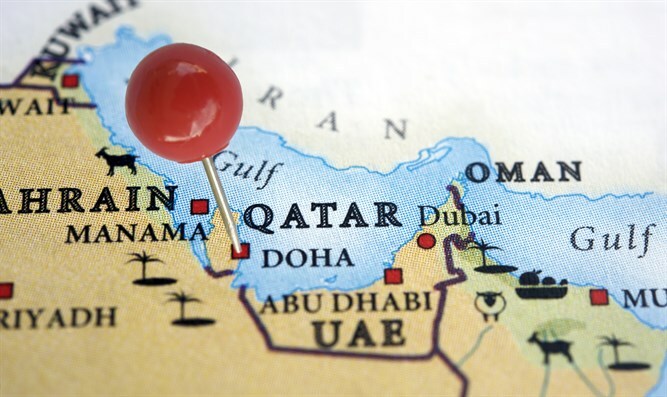 The current siege against Qatar, led by Saudi Arabia and the UAE, also has its roots in the different positions adopted during the Arab Spring. Saudi Arabia, the UAE, Bahrain, and Egypt severed relations with Doha last week, accusing it of supporting Islamist militants and Iran - allegations it scorns. Some observers believe the Saudi-led move has US backing. Turkey was quick to defend its ally Qatar and today Erdogan urged the Saudi king to take the lead and resolve the crisis. "A very grave mistake is being made in Qatar, isolating a nation in all areas is inhumane and against Islamic values. It's as if a death penalty decision has been taken for Qatar," Erdogan told lawmakers from his AKP party in parliament. "I call on the Saudi king as one of the region’s elders to resolve this crisis." Erdogan is also due to discuss the Qatar crisis with US President Donald Trump over the phone within the next few days, according to Cavusoglu. As part of its backing for Doha, the Turkish government prioritised and pushed through legislation in parliament last week ratifying an agreement to establish a joint military base and train Qatari troops in the Gulf state. The move doesn’t mean any immediate transfer of troops to the region. It was more of a strong symbolic statement and also legal protection for the government in the event of Turkish troops already based there coming to harm as tensions escalate. The joint base in Qatar was established in 2016 and is not fully staffed yet. During his weekend visit to Turkey, the Bahraini foreign minister, Khalid bin Ahmed Al Khalifa, sought – and received – assurances from Turkish officials that the Turkish base and troops would not be used in this crisis between Qatar and its neighbours, according to local media reports. Ankara has also mobilised to meet Qatari food requirements after supply was disrupted due to the blockade on the country. Qatari supermarket shelves now stock many Turkish products and the Ankara government sees it as an opportunity to seize a bigger and permanent slice of the estimated $5.5 bn Qatari food market. Erdogan has called for the Qatar crisis to be resolved before Ramadan ends on June 24th. But with Erdogan himself last Friday suggesting that he was aware of “how certain Gulf countries rejoiced during the night of the attempted coup in Turkey” and “we know very well the kind of money that was spent” a direct crisis between the UAE and Turkey could be on the horizon regardless of a resolution to the Qatar dispute, speculated MEE.